When a burger is a burger, and fries make no difference, choose your fast food by The Prize Inside! The Prize Inside received a major update last week. Completely rebuilt from the ground up with a much more efficient UI and all-new commenting system. As always, The Prize Inside tracks fast food restaurants by their kids’ meal premiums. 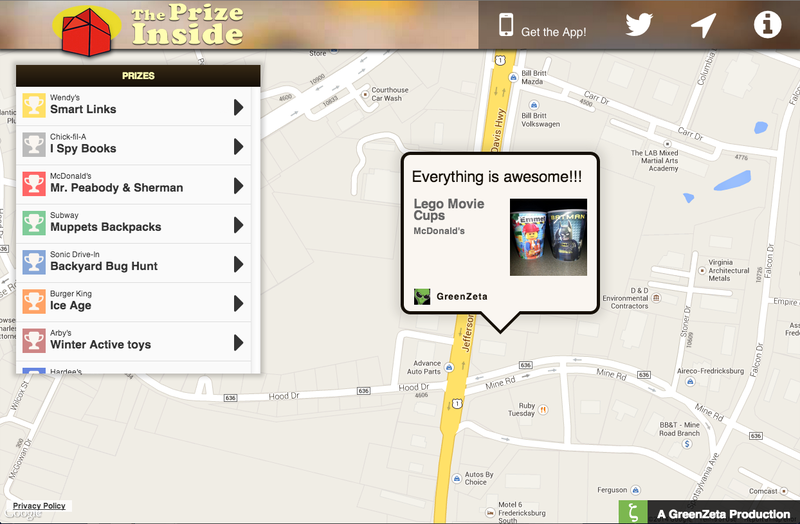 Nearby locations are now provided in a list view, as well as the usual map view. Prizes now have a comments section for users to post their prizes. Recent comments are featured on the homepage of the site. The mobile app has been completely redesigned as well. Built with PhoneGap it still shares the same codebase as the web version, but is now much faster. 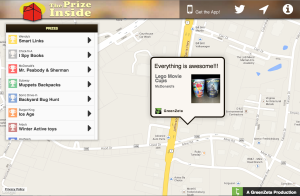 It also features an all-new sharing system to post comments and pictures of your prizes in the app and on the website. You can now link your Twitter, Facebook, or Foursquare accounts to automatically share your comments within those networks.